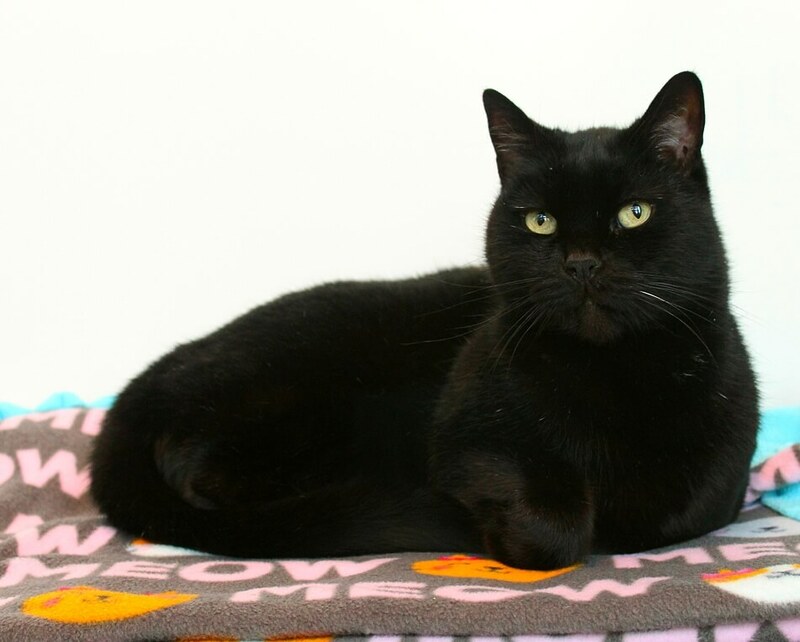 I am Jamie — the handsome, charming, 9-year-old all-black panther kitty you’ve been looking for! I have a great personality that is a perfect mix of curiosity, mellow-ness, and loving affection. I am very much a lap kitty and will even drool for chin scratches once I get really comfortable! I am also pretty confident and there are not very many things that make me nervous. Even though there are a lot of things going on here at the shelter, I was very comfortable right off the bat and will walk right up to new people to say hello! I do great around kids and would definitely be okay as a family pet, but I’m also pretty mellow and low-maintenance and would make a fabulous companion for a single working person or couple. I live peacefully around other kitties and am very passive. I actually came in with my sister, Cersei, but we are not bonded and could either go home as a pair or separately. The folks here at Pixie say I’m in a great health and will do a teeth cleaning for me so I’ll be all set for my new family, whenever they find me. I’m just a big, friendly, go-with-the-flow type of guy and all I need is a new home for the holidays! Won’t you stop by and say hello? I come to you fixed, vaccinated, and micro-chipped for an adoption fee of $100.